People often talk about cultural diversity in the workplace, but it’s clear that most people do not understand the criticality when it comes to making a workplace truly culturally sensitive and effective. Most people think of a culturally diverse workplace to be one where the workforce includes employees of various different cultural backgrounds and where employees are able to work in a harmonious environment. It is certainly a good thing for an organization to have a culturally diverse workplace that seems to be working well. However, the questions is: do we really know if the organization is being truly effective in maximizing its work output? Here are a few cultural traits that give an idea of what I am talking about: · Some employees grow up in an extremely “perfectionistic” culture – do we really understand how an employee can become too much of a “perfectionist” for the overall success? · Some employees can come from a culture where it is not acceptable to make a mistake. How can that impact overall effectiveness of an organization? · There are many employees whose cultural backgrounds do not allow them to accept constructive criticism/evaluation that can be extremely valuable for their professional development There are many other traits like these that can have an impact on the overall effectiveness of a culturally diverse workplace. That is why it is critical that employees and their supervisors are well acquainted with characteristics of this nature so they can act most appropriately. The first step is to identify each of your leader’s current level of performance. Once this is clear, informed decisions can be made to achieve higher performance across the team, department, and organization. We’ll start with the underwhelmers, or detrimental level. Leaders and employees who fall in this category tend to prevent progress, destroy value, and hamper fruitful conversations and idea generation. For whatever reason, they are clearly not the right fit for their job and/or organization. Perhaps they lack competence, experience, or maturity. Or they choose to misunderstand the organization’s direction and consistently act or talk against it. Whatever the reason—whether it be behavior, attitude or performance, it is clear they frequently take away more value than what they contribute. Addressing this level of performance involves simple, frequent, and straightforward feedback with a short leash and a fast timetable to turn things around quickly or else mutually understood consequences will occur. This involves a performance improvement plan in concert with HR and contingency planning if and when an exit occurs. As mentioned before, neutral is the hardest performance level to identify. Consider what level the leader is not. If they are not detrimental (underwhelming) or high performing (overwhelming! ), they are most likely in the neutral level. They may occasionally add value, but not often or consistent enough. This performance level is also characterized by costly errors due to large egos, an unwillingness to adopt collaborative approaches, withholding or ignoring detailed metrics, or an overly loyal yet underperforming team. The biggest concern when addressing this performance level is not communicating high expectations and consistently making excuses when neutral performers don’t hit the mark. Sanctioning average performance over time will do more to erode engagement and excellence than almost anything else a leader does. Unapologetically set high expectations, provide the tools and development for success, provided the space for someone to thrive and then expect to see consistent thriving! When one does not advance out of this performance level, they may slip into the Detrimental level and appropriate actions need to be taken. Leaders and employees in this category exhibit a high degree of ownership, consistently show proactivity in addressing challenges, and translate the organization focus into day-to-day execution. These are trusted leaders who can deliver and do it without casualties. They seek solutions and encourage others to solve problems, not complain about them. They keep customer needs in clear sight and use collaborative approaches. And they fess up to mistakes, learning from them as they go. The best thing to do for people at this level of performance is to get out of their way! Provide a clear vision for the future and let them build change coalitions, engage in courageous conversations, and encourage innovative approaches. Give them tools, coaching, developmental feedback, and opportunities to challenge them. Build confidence in them so they can show up each day like the leader they know they can be. Watch how their performance elevates the performance of others! The CEO referenced earlier was not talking about low or high performers; he was talking about waiting too long to act on the neutral ones---those who are only whelming in their leadership roles. For organizations who are striving to transform themselves, to become the best place to work, and to attract, grow, and retain amazing talent, there is little room for mediocrity led by whelming leaders. Those who settle for neutral performers send a message to the workforce that doing just enough is enough. That perception will not create a high performing culture with leaders that inspire and engage. 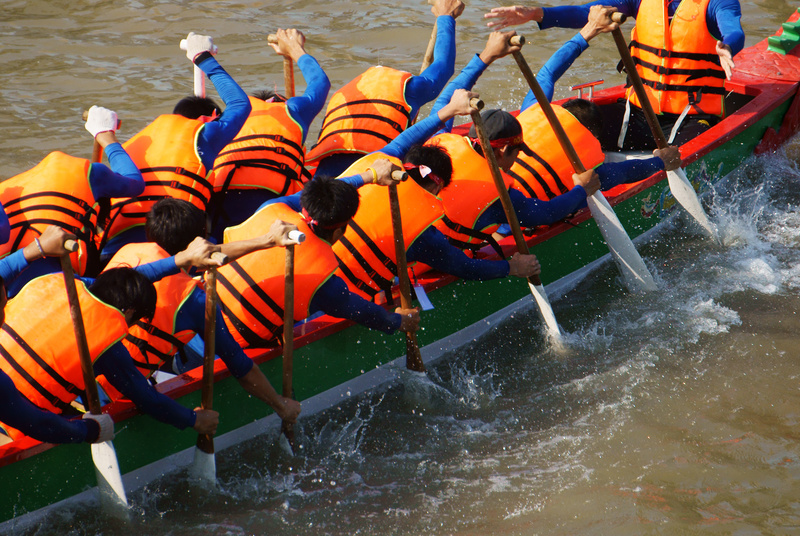 Identifying the right performance level of each leader and employee is a great first step. Acting on the detrimental and high performing levels is important and expected; but paying attention to minimizing leaders in the neutral level may even be more important to building high-performing individuals, teams, departments, and overall organization success. Daniel Stewart a Leadership, Talent, and Change Consultant at Stewart Leadership. He thrives in supporting top performing companies manage and retain exceptional talent, and coach the leaders of tomorrow. Great Sports Teams have always had great General Managers. Is your life ambition to be GM of the year? The metaphor of a sports team "GM" really is about the people who build teams from the ground up. The sometimes need to retool teams on a budget. Most of the time though they are handed a team and they have to make it work with only a few changes. That is the sign of a great GM. And most of the times these great ones understand how to create environments where this can be accomplished. The GM's I have known use emotional intelligence to build their teams. So if you would like to understand how you can get the most from the people you work with, then see what team building in sports will do for you. If you head a project, a business unit or the entire company, you want that title of GM of the Year, because it means your efforts are creating meaningful relationships, products and reputations. 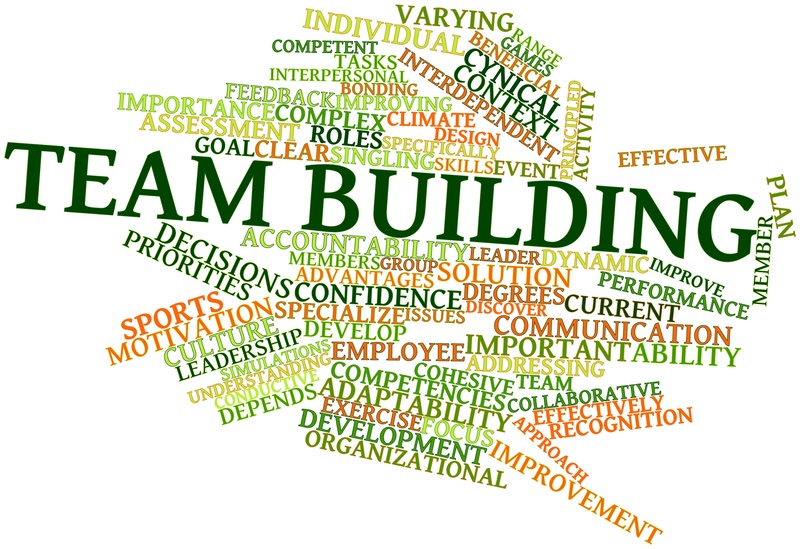 I think many of the components of a team building program used in sports can be critical to businesses and there are things that offer transference to the business world. Team Bui lding for Businesses, Non Profits and Direct Sales Organizations. Let me show you why the sports world offers you great insight into how your organization can function at the highest levels, even under pressure. Great teams and GM’s create an atmosphere that instills Cooperation and Cohesion even in a competitive work environment. Not every team starts with good chemistry, but every team can have it. Every wonder why people who played on sports teams miss them so much? What if you could create a corporate culture that no one ever wanted to leave? Let me help get your organization moving in the right direction. Respect, admiration, discipline, cohesion and even competition are all attributes of good teams. A competitive environment is not in opposition to a good working environment. Respect and Cohesion are easier to achieve when missions and goals are clearly defined. Learn how to utilize everyone’s emotional intelligence to further your organizations mission. The secret however is how to succeed through both cooperative and competitive environments. If you think about a football or soccer team players must work together to succeed while at the same time compete for playing time with their team mates. Good teams thrive in this competitive environment. In the corporate / business world employees find themselves working on projects or in teams where they must both cooperate and compete with others. Learning to thrive in this pressurized environment can have great effects on an organization. Every wonder why people that played on sports teams miss them so much? What if you could create a corporate culture that no one ever wanted to leave? Let The Mental Game help get your organization moving in the right direction. Respect, admiration, discipline, cohesion and even competition are all attributes of good teams. A competitive environment is not in opposition to a good working environment. Respect and Cohesion are easier to achieve when missions and goals are clearly defined. Learn how to utilize everyone’s emotional intelligence to further your organizations mission. These activities are fun, intellectually stimulating and can have a tremendously positive effect on your company or organizations direction. Events are flexible and designed to work with you mission statement and goals. 1) Be Selective on What Positions to Discuss: Too often every leadership and management position in the company is considered during a talent management session. Unless you’ve been doing this process for several years, be very selective as to the number of positions you discuss. Not all SVPs or VPs provide the same value to the organization’s success. Focus on the positions that great talent can optimize the greatest. 2) Focus on Skills before People: Instead of jumping in and describing the strengths and opportunities of each person, first identity the 3-5 skills needed for that critical position. Then identify how the individual compares to those leadership and strategic skills or competencies. This creates a more informed conversation for current and future positions with using an agreed upon set of high performing standards. 3) Do Homework Before the Session: To make the talent review session as productive as possible, each leader needs to come prepared. This preparation usually involves three things: 1) having the individual complete the talent profile or summary, 2) having a conversation with the individual on performance, competencies, engagement, and career aspirations, and 3) having a conversation with their boss about the individual. With this information, the 3-5 minutes that each individual has to be discussed, can be focused and informed. 4) Have Development Opportunities Ready: During talent reviews, we often talk about if the leader is ready for the next step. Well, are as an organization ready with development tools and resources for that leader? Enter talent reviews with development ideas organized around on-the-job, social, and formal development opportunities. This can include coaching, mentoring, shadowing, stretch assignments, networking, rotations, classes, etc. Build in mechanisms to follow up on this development, so it is not forgotten. With all of the work we put into identifying top talent, we need to put the same energy into developing them. This talent management season, let’s make talent review sessions more productive and engaging. Let’s make them worth the effort and time we invest. Jim Collins once said,” People are not your most important asset. The right people are.” The talent management process is a fantastic way of identifying the right people and building their development for key positions to achieve the organization’s results. Let’s elevate how we lead the talent management to match the high caliber of the talent we are assessing. I know last week I said we'd talk about temporary employees and FMLA--but I remembered afterward that I already blogged about that here. So let's face down that intimidating monster challenge known as intermittent FMLA. In order to do that, we are going to return once more to Splendiferous Supermarket Inc and Betty the Boss to see how they might handle an intermittent FMLA situation--after the jump, of course... Click here to read the entire post on The EmpLAWyerologist. Are Small Business and Career Development an Untapped Match? Small businesses can been hesitant to jump on the career development bandwagon. I must admit it was not on my immediate radar screen when I went into business fourteen years ago. But now I am convinced that putting stock in your employees is crucial to the success of a small business for the long term. The initial cost crunch and time allocation of creating a plan, meeting with employees, revisiting their skill sets, and researching training opportunities without concrete proof of return on investment is daunting and risky. However, having embraced adding career development for my employees to my business roadmap has made my business better, stronger and more profitable. I no longer question whether there is a place for career development in small business; rather, I strongly advise small business owners to include career development as part of their new-hire onboarding process.